Anyone participating in rigorous activities such as weight lifting feels pain. We all one time have used some kind of chemical based product to help ease the pain. But most of us know the long term side effects of using these kinds of so called pain relievers. So what’s a safe alternative to muscle pain relief? 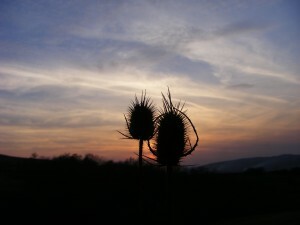 There are numerous solutions for some simple pain relief, but the 2 that I will be covering are BURDOCK ROOT and COMFREY. Burdock Root was commonly used in ancient China for its medicinal purposes. It was used as a cure for the common cold and helped to alleviate allergies. It was later found that drinking Burdock Root tea helped to avoid lactic acid build up within the muscles. Burdock Root has been used utilized for centuries and still is for its benefits for ailments, such as gastrointestinal disorders, gout, cancer, and throat problems. In recent times, Burdock Root has become very popular within the workout scene for its awesome benefits. As I stated before, it’s great for helping the body reduce lactic acid build up within your muscles. It’s also great for alleviating pain due to Arthritis and other similar ailments within your joints and muscles. Burdock Root also helps you sweat more, therefore helping your body to eliminate harmful toxins that are in your body. It also helps to promote healthy muscle function, decreasing the chance of tears and strains. By supplementing with Burdock Root, you’re able to increase muscle mass more effective than you would without it. Comfrey has been labeled the miracle herb since ancient times. Back then it was used for an array of ailments including the rapid rec overy and healing of bone fractures. In recent times Comfrey has been utilized within the fitness world for not only its bone benefits, but also for muscle sprains, soreness and tears. This is due to its amazing anti-inflammatory and analgesic and decongestant properties. Comfrey is utilized in many pain relief sports cream, sprays, balms and gels. Comfrey herb is rich in Allantoin and Mucilage. Both are main ingredients that promote healing within wounds. For this very reason, Comfrey is excellent for treating sprains and dislocations, as well as the other ailments I stated previously. 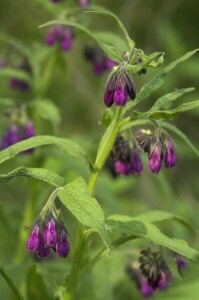 Although Comfrey is excellent for all the ailments listed previously, it CANNOT be ingested at all. Studies have found that it’s excellent when applied topically, but when ingested it causes liver problems. So if you’re going to use this herb, make sure you do not ingest it!